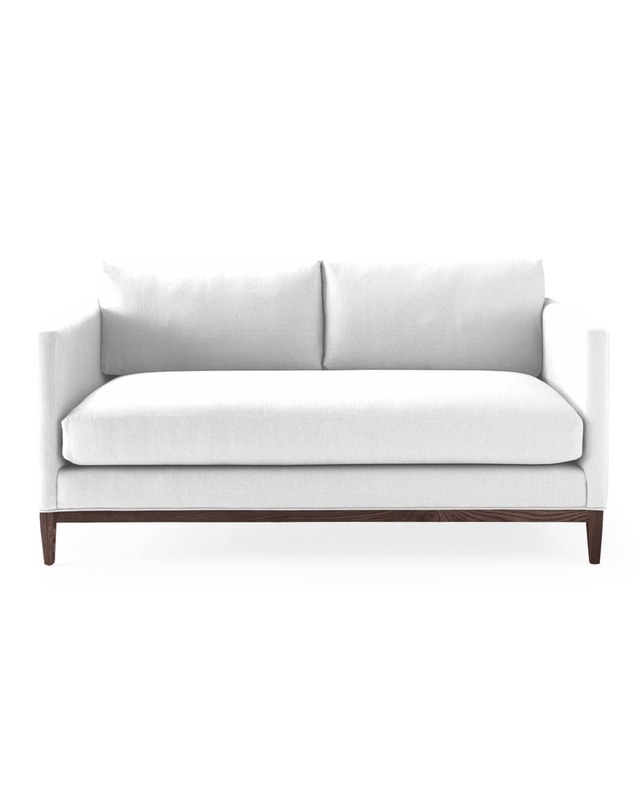 Barton LoveseatBarton Loveseat, alt="Barton Loveseat, "
Print The clean lines and simple sophistication made us fall in love with the first sofa in this collection. We downsized the look for a loveseat that’s brilliantly compact (and fit for snugger spaces). Track arms and a tailored bench seat give it a modern edge; the wood detailing adds a great design touch. Best of all, comfy back cushions cradle you in comfort. Sinuous spring suspension creates even comfort and support. Back cushions made of fiber. Solid wood legs finished with water-based stains to help protect your health and minimize environmental impact. 72”W x 35”D x 35”H overall.